Sewing School 2- Lessons in Machine Sewing by Amie Petronis Plumley and Andria Lisle is a book full of instructions and simple, fun and mostly useful projects for young people learning to sew. I like teaching people to sew using a book. A well-written book will have things in it I might forget teaching, and it will also have projects geared specifically for teaching beginners. In the case of this book, the projects are designed with the tween set in mind. Also with a good book, I can step back and be available to help if necessary but they have the freedom to learn at their own pace. It's spiral bound to lay flat with full color photos and diagrams. There is an envelope in the back of the book that has the patterns for the projects, but most of the projects can be done by measuring and cutting. A lot of them are based on rectangle and square shapes with straight seams which makes them very simple to sew. The introduction starts by explaining the project pages- the difficulty rating system, materials needed, skills needed, a note for parents and skill check which explains what skills a new sewer is learning. Then it explains the anatomy of a sewing machine with photos. This section explains each part and how it's used. A further glossary explains other terms and tools you'll need. After that it covers the basic supplies you'll need in a sewing kit. Then it gets into explaining exactly how to plan a project and sew it from picking fabric, cutting out a pattern, sewing, safety tips and personalization. All with great photos and easy to understand text. After that- the projects. As mentioned, they are designed with beginners in mind, and for tweens. Some of the projects are better for younger children learning to sew, or could be done for a younger friend or sibling. My favorite project is the backsack. These basic backpacks have been fairly popular for a couple years now, basically a drawstring bag with straps to wear it backpack style. For people who love to decorate, there is a miniature bunting and a full size bunting. There are pincushions, portable cushions to sit on, and cute stuffies. The projects are mostly practical with lots of room to really add a personal flair, beyond just picking the fabric. 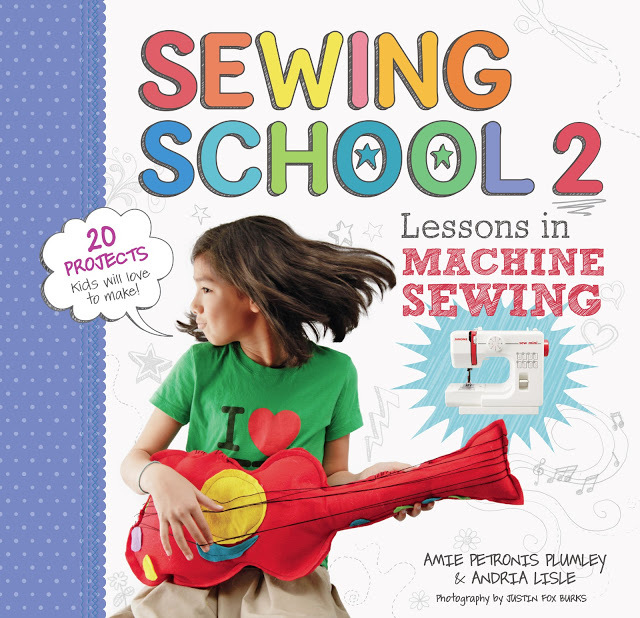 The back of the book includes further skills like sewing on a button, how much thread to use for hand sewing, and how to use a seam ripper. Like Storey Publishing on Facebook for lots of great recipes, projects and ideas!